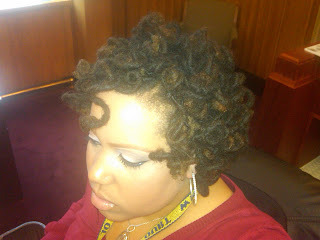 I was gifted some Lock Loops * and other goodies from Muthasfynest after she cut off her locs....(Don't gasp. I've accepted that some people just need a change after being with a style for so long). 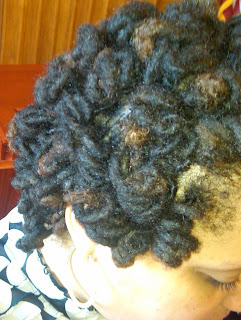 My sister maintains my locs, so she felt at liberty to try the Loc Loops on herself first. Gorgeous curls right! 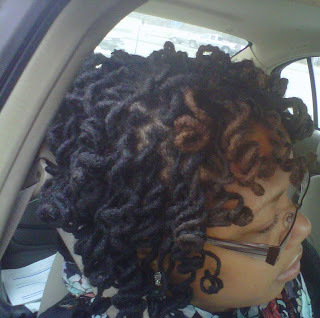 Look at how she colors her locs.. she dyes them every 3 months or so! I need to be more daring. The next day I wasn't completely dry so I wore them tightly coiled. Now I see how people get their hair this way! LOL! *Site linked as a reference. I don't know where she ordered hers from. Now that I've tried my first style, I'm ready for more. What are some other DIY styles that you love? Kia, your hair looks amazing... I cannot wait to get my locks. I think in another month my hair should be long enough for starter locks. Gorgeous! I've used these several times but they don't give me as tight as a curl as perm rod rollers. I curl my hair at least twice a month. They are a good protective style for locs too. 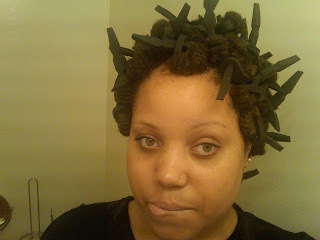 Try pipe cleaner curls next! Both of your ladies are gorgeous! I love the look! 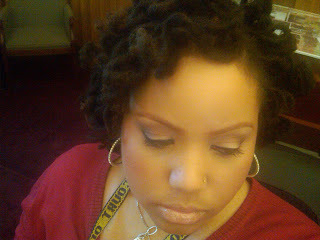 I love curly loc styles! Oh and I really want to color my hair too, but I can't decide. I had no doubt that you would look beautiful, and see WAWLAH! Did I spell that right? Your hair is pretty. I also love your eyemakeup. You have beautiful eyes. i'm sure you've heard that before. Your hair looks amazing! One of my professors has locks and she did this style. In the last picture, you looked like Dr. Bailey in Grey's Anatomy. They are DIVINE!!! Wow, Diva. I really like them. Were they easy to apply? @ seymone: i started my hair with little stub gel twists! yay for starting locs! @ b: thanks! 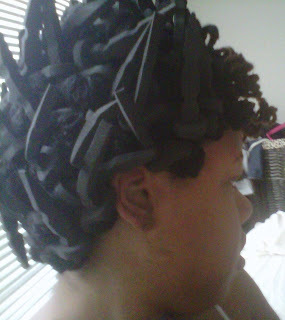 muthasfynest gave me perm rods too! i think i'll try those next since i already have them ;) i guess the big deal with lock loops is the comfort of them. @ bsquared, renren, mochamakeuplover, tysh: thank you ladies so much! i'm enjoying the new style! @ allmeyene: thanks! b (clumpsofmascara) has been talking about the pipe cleaning method a lot. i'll prob give it a shot soon! @ mutha: gracias babez! hehe voila! @ kim porter: thank you! 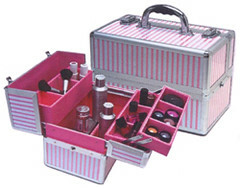 @ styling profilinL A, you know it! new beginnings, new hair styles! @ dwana: thank you!! they were easy enough if you already know how to use the rods. same concept. for me it was about drying.. my hair held on to that water so much! yes Kia! WORK! I love this look and yes your sisters color is really nice! Thanks so much for this review! I was going to purchase the Soft Spikes curlers, but I will definitely consider the Lock Loops as well. I did find that the soft spikes curlers were easy to slip out when wet setting a friend's long locks who had already purchased the Soft Spikes curlers. I literally had to anchor some of the soft spikes curlers with a ponytail holder to make sure they did not come loose.